Show your team spirit in a whole new way! 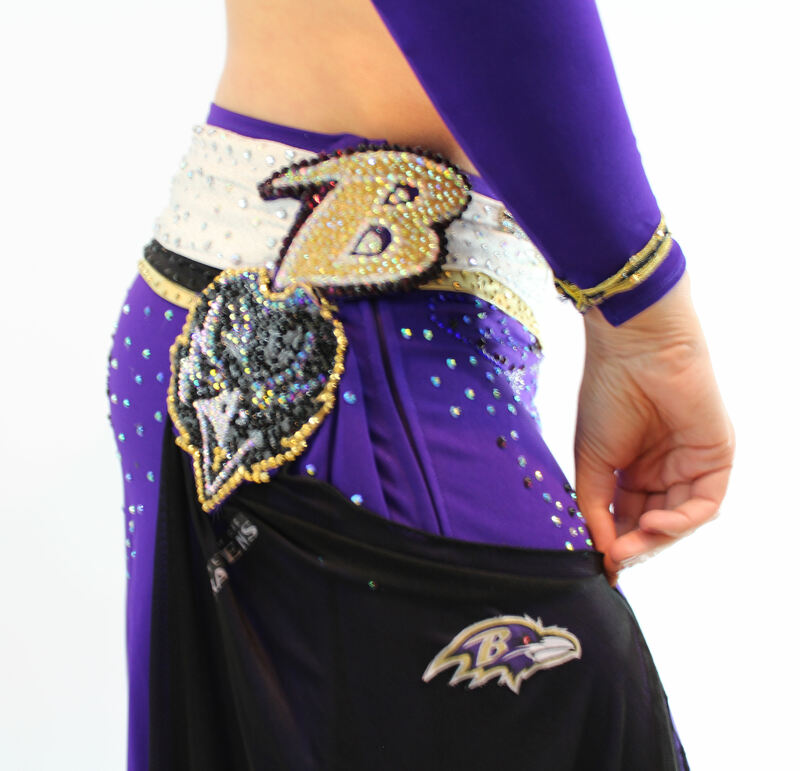 This NFL cheerleader inspired costume is all about the Baltimore Ravens. From the sporty look to the team logo it says I am a FAN! This particular costume features team logos, wording all blinged out with the added bonus of pom-pom rings! You can custom order this beauty as is, add your own flair OR have it made in the style of your own favorite team. 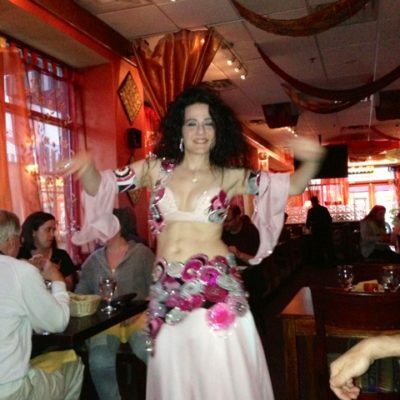 Email today to make your bellydance costume dream come true!